Most federal law enforcement agents are paid according to the "General Schedule" which is the government's pay scale. It is also known as the "GS Scale." The GS-Scale has 15 grades. Each grade has 10 steps. Most agents start off as a GS-5 step 1 or as a GS-7 step 1 level depending on your education or experience. The FBI starts their agents at a GS-10 step 1. After successfully completing one year on the job, agents are automatically promoted to the next GS level, step one. The general progression with one year increments is as follows: GS-5, GS-7, GS-9, GS-11, GS-12. The next progression is GS-13, GS-14 and GS-15. A lot of agencies view these upper GS levels as a competitive promotion. Therefore, in order to reach these grades you must compete for the job through the agency's merit promotion system. Some agencies will allow their agents to reach the grade 13 level without competition. After successfully completing several years as a GS-12, an agent automatically becomes a GS-13. Most agencies consider the grades 14 and 15 to be a competitive promotion. Each grade has 10 steps. An agent may receive a step increase if he does not receive a grade increase for the year. Step increases are smaller raises where as the grade increase is a much larger raise in salary. For example, an agent successfully completes one year at the GS-12 step 1. If he does not receive a GS-13, he will automatically be promoted to a GS-12 step 2. After one year as a GS-12 step 2, if he does not receive a GS-13 he will be promoted without competition to a GS-12 step 3. The first four steps are received after completing one year at the lower step. Step 5, 6,and 7 are received after completing two years at the lower grade. Steps 8, 9 and 10 are received after completing three years at the lower grade. For example, in order to receive a step 9 you must spend three years at the step 8. Federal agents receive a Cost of Living Adjustment (COLA) at the beginning of each year. This is automatic raise to the General Schedule is set by the President. The raise is usually around 3%. This increase is supposed to help offset inflation although the inflation rate for the year is usually greater than the COLA. The GS-Scale for the new year will reflect the COLA. The government also pays it agents a locality pay. A GS-7 agent is making the same amount of money no matter which city he is working in. Since it is more expensive to live in New York City, a GS-7's money will not go as far. Therefore, the government pays a locality pay to those agents who work in a larger more expensive city. In a big city such as New York and Los Angeles, the increase may be around 10%. In a smaller city such as Raleigh, NC, the locality increase may only be around 3%. The Rest of the United States (RUS) also receives a very small locality pay. The link above is to the GS-Scale for the Rest of the United States. All 1811 Criminal Investigators receive Law Enforcement Availability Pay (LEAP). The government will automatically give you an additional 25% of your salary for you to be available after business hours. They are paying you up front for any overtime hours you may work. For example, lets say a normal work day is from 8:30 a.m. to 5:00 p.m. If on a Thursday, you have to work on a surveillance until 10:00 p.m., you are not going to get paid overtime for the hours from 5:00 p.m. to 10:00 p.m. You are already receiving that overtime pay in the 25% extra LEAP pay you are getting. However, on the days that you only work eight hours, you are still receiving the LEAP pay. Some agencies monitor the LEAP hours requiring their agents to work an average of ten hours each day even though the law only says you have to be available. There are some situations where you can earn overtime in addition to the LEAP pay. However, the government usually does not pay a true overtime rate of time and one-half. When you look at the salaries in the GS-Scale you need to take 25% of that salary and add it to the number to figure out the total salary for a criminal investigator. Not all of the federal agencies pay their agents and officers using the GS or SES pay scale. Many of the federal police jobs located in Washington D.C have their own pay scale. This includes the U.S. Secret Service Uniformed Division, the U.S. Capitol Police and others. The U.S. Postal Inspection Service has a special basic pay systems for postal inspectors. Those agents working for the Department of State are paid according to the Foreign Service Schedule when working overseas. The pay scale for a state trooper varies with each state. Those states that are considered to be a high cost of living such as California have a higher starting salary. Recruits are usually paid a lower salary while attending the training academy. Upon graduation, they receive a raise to the starting salary for a trooper. A typical starting salary is between $30,000 - $40,000 per year. California has a starting salary around $50,000 per year. Salary increases also varies with each state. Some states offer a 5% raise every year for the first five years on the job. Others offer a raise after successfully completing two years on the job. The rank structure for a trooper is usually modeled after the United States military. Career progression is Sergeant - Lieutenant - Captain - Major - Lieutenant Colonel - Colonel. Every trooper has the potential to rise through the ranks. 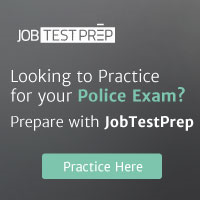 The promotional process may include submitting a written package of one's work history, a written test, a series of assessment center exercises which simulate real-life scenarios and an evaluation of the candidate's knowledge of the Patrol's policies and procedures. Troopers may receive additional pay for working in specialized areas such as motorcycle patrol or working with canines. Additional pay may also be given if a trooper possess a specialized skill such as being bilingual or having the certification to fly an airplane. Troopers can also earn additional pay by working overtime hours. The pay scale for a city police officer or deputy sheriff varies with each department. Larger departments located in a big city do not necessarily have a higher starting salary despite the higher cost of living. A New York City police officer earns around $32,000 per year after graduating from the training academy. Whereas, a police officer in Greenville, NC earns around $38,000 after completing training. Each city and county determines its own pay scale. Some smaller cities and counties are more financially sound than their larger counterparts. This allows them to pay their officers a higher salary and helps to prevent officers from jumping ship and going to another department. Officers and deputies usually receive a lower pay while in training. Upon graduation, they receive a full starting salary. Starting salaries average between $25,000 - $52,000. Most departments have an automatic salary increase for the first few years on the job. They also offer promotion opportunities to various ranks. Most departments follow the military rank structure. Some will include the level of Police Officer I, Police Officer II, III and IV before progressing to the rank of Sergeant, Lieutenant, Captain, Major, etc. Some departments will have a detective or inspector position which pays a higher salary. Most departments will pay overtime at the rate of time and one-half. Some departments will offer an educational incentive. An officer or deputy can earn a certain percent more in salary if he obtains an Associate's or Bachelor's Degree. Most departments offer a uniform allowance.